2013 December | Time to Cook! Certain foods are supposed to bring you good luck for the year if eaten on New Year’s Day — cabbage, black eyed peas, etc. Here is my favorite cabbage recipe that I plan to make. Cabbage is so good for you (high in lots of nutrients, filled with antioxidants, can lower bad cholesterol, and is very low in calories and fat) and inexpensive, but often gets a bad rap. It does have a strong, funky smell when you cook it (that’s how I remembered it growing up) — and it can give you gas! Just don’t eat like three servings in one sitting! This cabbage recipe is awesome though – it’s fresh and delicious. You will want more than one serving! 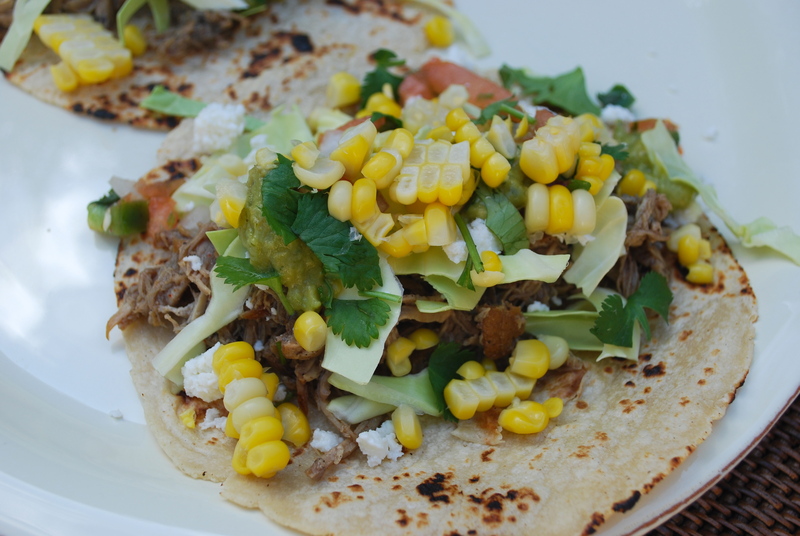 Great served with pork chops, pork tenderloin, or grilled sausages. Note: I lowered the amount of salt in the recipe below. Recipe from blog Simple Bites. Prepare leeks by cleaning them, drying and chopping them into 1/2 inch rounds. 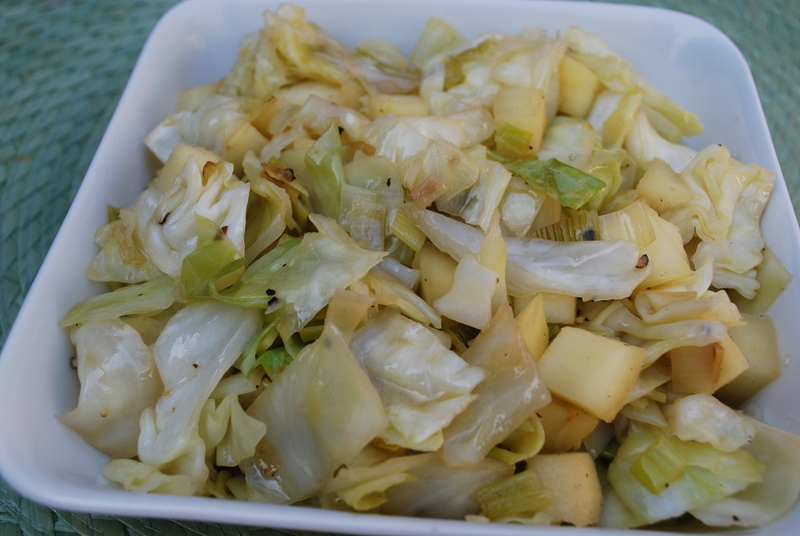 Divide cabbage into two quarters, lay them on a flat, cut side and roughly chop them into chunks, avoiding the core. Separate the cabbage pieces slightly. Heat a 5 quart French oven or a large cast iron skillet over medium heat. Add olive oil and butter and heat until butter is bubbling. Add leeks to melted butter and sauté for two minutes. Add the cabbage all at once and immediately stir thoroughly to coat the cabbage with butter. Season with salt and pepper. Partially cover and cook on medium heat for about 7 minutes, stirring often, until cabbage has wilted significantly. During this time, quarter and core the apple and roughly dice. Add the apple to the cabbage as well as the apple cider vinegar. Sauté on medium heat for another three minutes, stirring often. Taste for seasoning and adjust if necessary. Serve hot. Note: Chardonnay vinegar can be substituted for apple cider vinegar and the whole dish would be lovely with a sprinkling of caraway seeds sautéed in the mix. 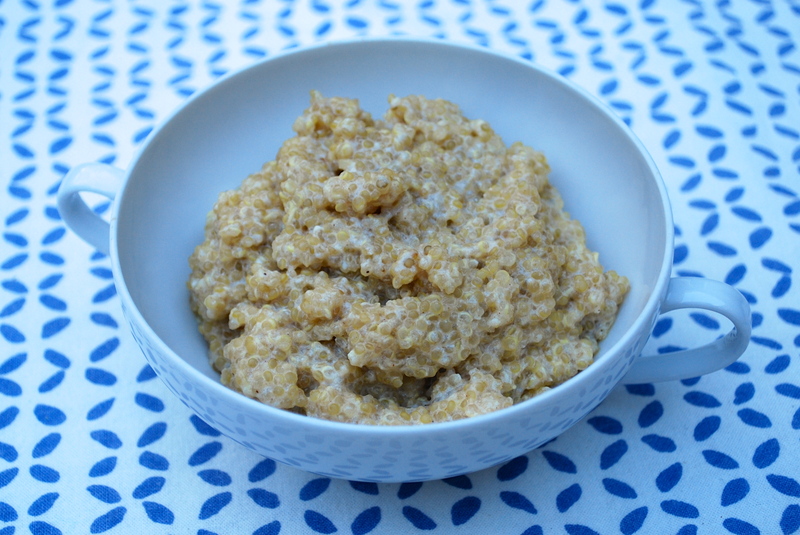 I’ve been curious about breakfast quinoa and tried a few recipes that really were not that good. This is my favorite and it’s simple to make. It’s a great high-protein alternative to warm oatmeal in the morning. One of my two boys like this! Top with fresh fruit and/or nuts or nothing at all. Recipe from Martha Stewart Living. Bring milk to a boil in a small saucepan. Add quinoa, and return to a boil. Reduce heat to low, and simmer, covered, until three-quarters of the milk has been absorbed, about 15 minutes. Stir in sugar and cinnamon. Cook, covered, until almost all the milk has been absorbed, about 8 minutes. Stir in blueberries, and cook for 30 seconds. Serve with additional milk, sugar, cinnamon, and blueberries.